Show Girl masquerade mask is hand painted and glittered. 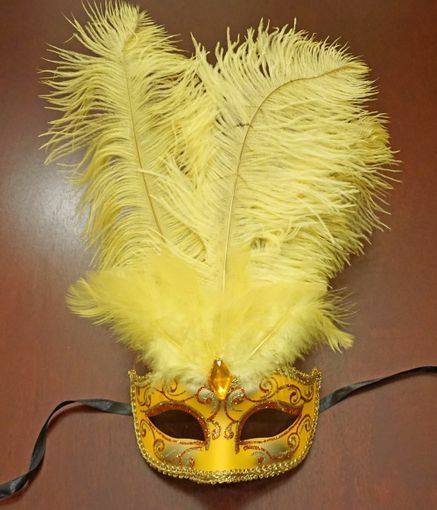 Mask is accented with gold ribbon trim and large feathers. This masquerade mask comes with black ribbon ties and is made of a non bendable PVC. Mask color yellow.